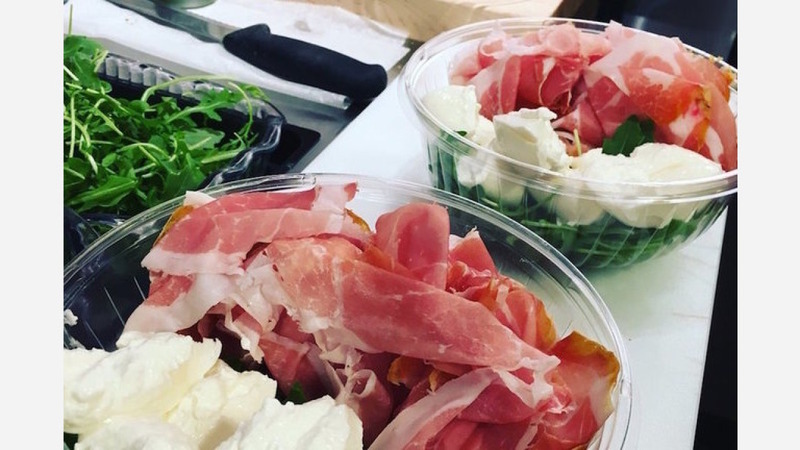 A new spot to score sandwiches and fresh Italian fare has opened up shop in the neighborhood. Located at 462 Sixth Ave. in Greenwich Village, the fresh addition is called Sergimmo Salumeria. This family-owned Sicilian Paninoteca and Salumeria has taken the Mediterranean "diet" and turned it into a lifestyle in the heart of New York City, shares its website. With a 4.5-star rating out of 11 reviews on Yelp so far, Sergimmo Salumeria seems to be a welcome addition to the neighborhood. Juliane L., who was among the first Yelpers to review the new spot on April 8, said: "Newcomer to the neighborhood and it's nice to see a cute little shop around that is not a big box chain! We got two: one with chicken, prosciutto, mozzarella and arugula, and we got the VIP with fig spread and prosciutto . Both were delicious, with a ton of prosciutto which is great, and very filling. Tastes amazing. Fresh mozzarella made in the house." "Absolutely amazing!" added Yelper Tony M. "Was visiting from Hawaii and had to try this place... so glad I did. My family and I were blown away by Sergimmo's hospitality and the incredibly flavorful sandwiches!" And Bryan W. said: "Just had my first taste of Sergimmo Salumeria and was pretty impressed. I ordered the VIP sandwich, which has Prosciutto di Parma, mozzarella, arugula, EVOO, and fig spread. It did not disappoint!" Intrigued? Stop in to try it for yourself. Sergimmo Salumeria is open from 11 a.m.-10 p.m. Monday-Saturday, and Sunday from 11 a.m.-9 p.m.